You are here: Home / Order / Organization / Get It Done! As women with ADHD, we often struggle to get things done. I don’t know about you, but I struggle a lot with keeping the house clean and organized. It seems I never notice to do something until it’s blatantly obvious that it needs to be done. Like when my feet start sticking to the kitchen floor. Everyone loves a clean home, but not many of us like doing the actual work. If you can get into the habit of doing things on a routine basis, it makes everything so much easier. For instance, if you do the daily things that I suggest in An ADD Woman Cleans, your house stays fairly well maintained most of the time and it’s not such a chore to clean anything. But habits are hard to establish. The general rule of thumb is that it takes 21 days to turn a behavior into a habit. For those of us with ADHD, I think a month of consistent behavior is more accurate. Luckily, I have found a couple of apps that can help you keep on top of your housework – or any work for that matter – and in the process, help you establish some good habits. One is just for iOS and the other is for a number of platforms, including iOS and Android. It’s colorful. We ADDers are visual people so how something looks is important to me. It comes pre-loaded with typical household chores that you can edit. 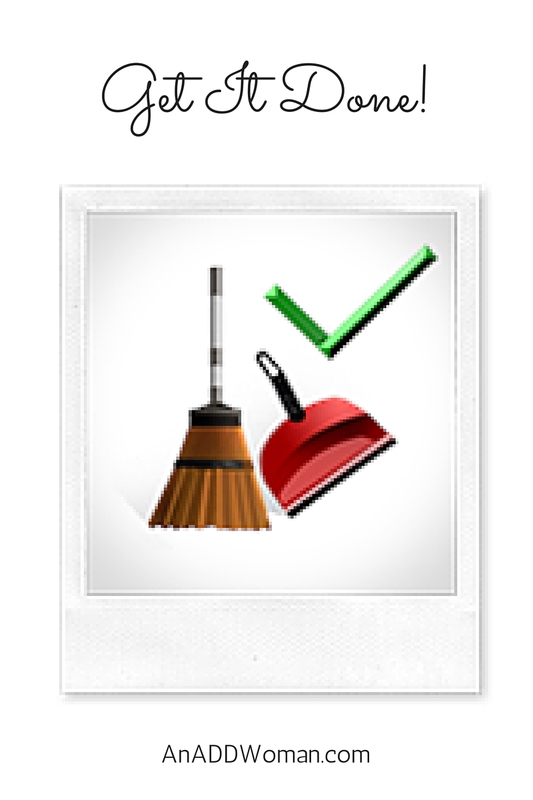 It is geared towards cleaning a home, but you can easily change things up to add your work and personal tasks. If you follow Flylady, her zones are built right in. Tasks are divided by morning, afternoon, and evening, as well as weekly and bi-weekly tasks. I would also like to see monthly tasks. You can set reminders, change the background, bold the font, and it has a timer. You can back it up to their online site so you have a record of everything in case you change phones. It has an accomplishment section that lets you review your day and see how much you got done. It also includes a to do list. It lets you set a “theme” or idea for each day. For instance, our water gets delivered every other Tuesday, so on Tuesdays mine says “Is it water day?”. Of course you could do something more motivational if you want. It is a little pricey – for an app – at $4.99. They do have a website so you can check it out there first. I read somewhere that there is an online community for extra support, but I have not been able to find it. If you have an Android device or just want another option, Chore Checklist might be for you. It is not as colorful; mostly black, white, and gray. It offers pre-loaded lists and additional lists on their website that you can add to the app. They have a video to show you how. The lists are very detailed. Instead of “clean bathroom”, there are individual steps. “Wipe out sinks, spray shower, etc”. 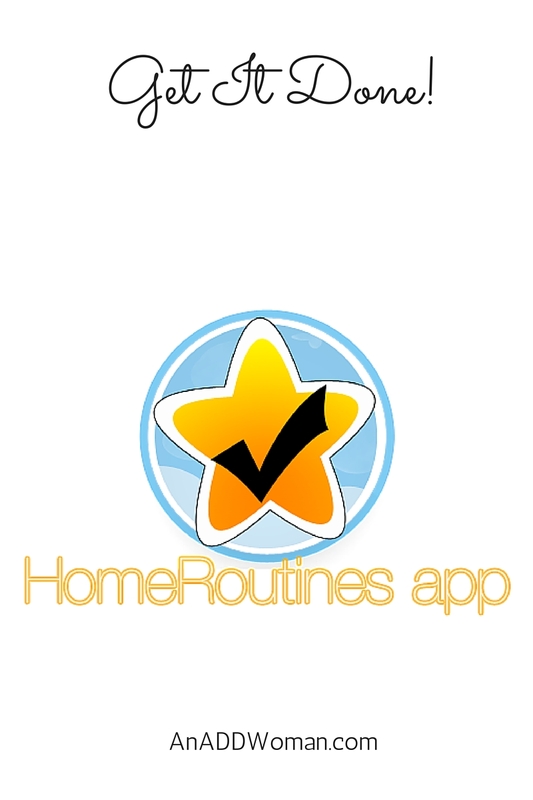 There are daily, weekly, bi-weekly, and monthly routines. You also have the ability to share your lists between devices or people, as well as sync them. You do have to purchase these add on apps; they are $1.00 each. They have a free lite version and a more expanded paid version for $1.50. If you do some looking around, I’m sure you could find similar apps that might work for you.